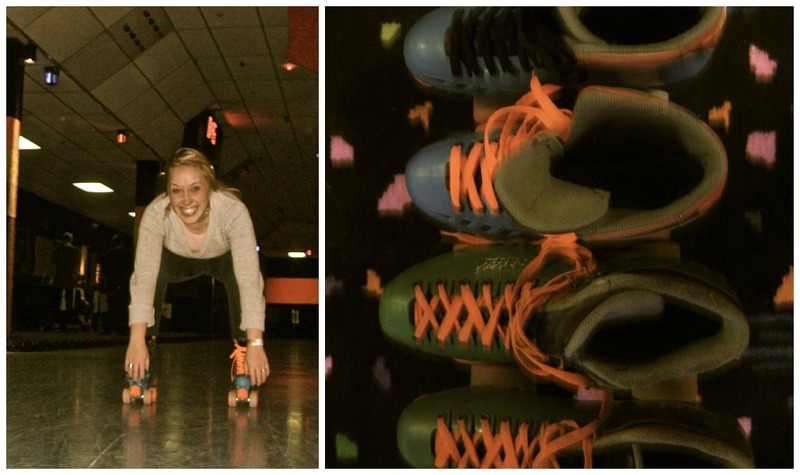 The Sunshine Space: Dollar skate night. I usually work on Thursday nights at New Haven, but yesterday I took the night off to go Christmas caroling with the eight to eleven-year old girls from church (I just got a new calling, or assignment, to serve as a leader for activity days!) 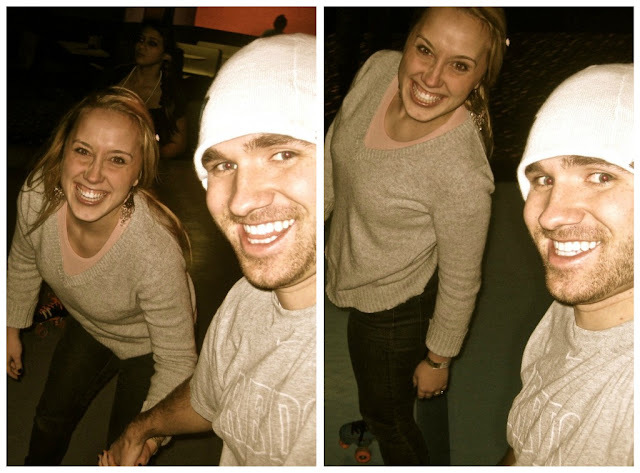 After we were done singing and dropping off goodie plates, I hurried home so JD and I could go skating at the Classic Fun Center in Orem. 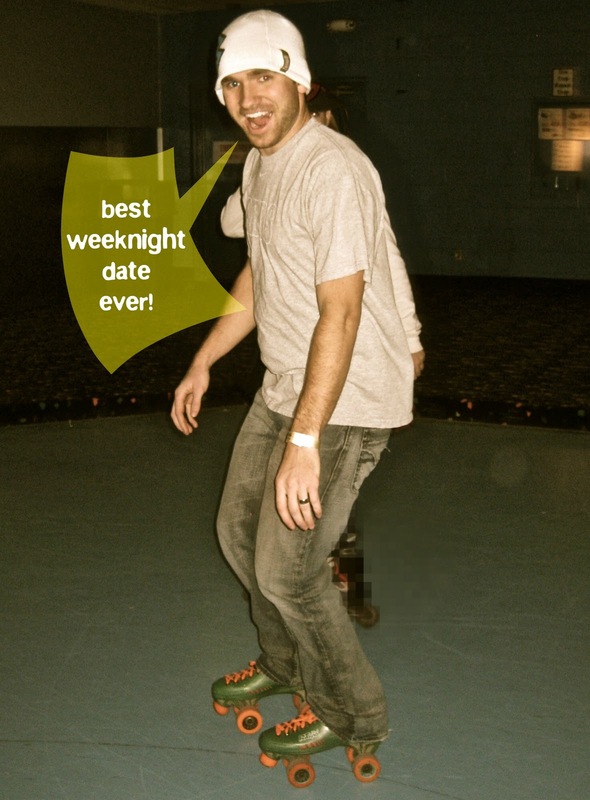 I knew Thursdays were dollar skate night because I'm the rec night coordinator at work and have looked up tons of information about fun, inexpensive things to do in Utah County on Thursday nights. It's a rare occasion for BOTH of us to have Thursdays off so we jumped on the chance for some good, old-fashioned fun! It was all fun and games until my skates failed me and I took a hard fall on my tailbone. 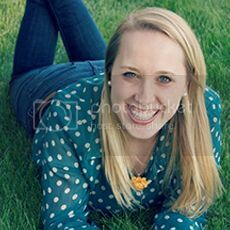 I could hardly move and had to use all my willpower to avoid tears. 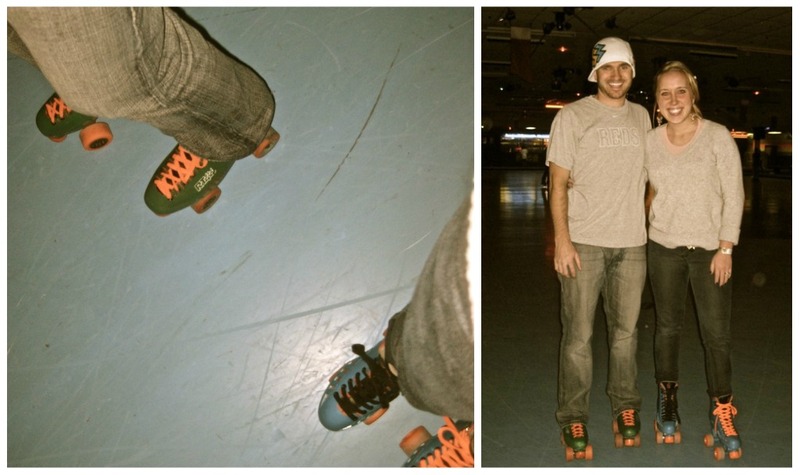 JD helped me take off my skates and I limped out, trying to hold my head high. Ha! My tailbone is still aching majorly today, but I would do it again anyway. Can't beat four bucks for date night!